This proposed firefighter training center would be one of three buildings built at the former Verso paper mill site in Bucksport if Maine Maritime Academy's plans come to fruition. Maine Maritime Academy wants to create an education center in Bucksport that could eventually train 2,400 students and professional mariners each year. MMA officials are negotiating to buy a two-story brick building at the former Verso paper mill site and turn it into the Center for Professional Mariner Development. Planned as an annex to the school’s campus in Castine, the center would train academy students; help mariners maintain required certifications; and train firefighters, offshore wind and oil-rig workers in fire safety and water rescue. The development is the latest that could turn the former mill town into a seafood — and now seafaring — community. A $250 million salmon farm is due to break ground this spring at the mill site, and four facilities that package or freeze seafood are operating or under construction a few miles away at Buckstown Heritage Park. MMA is in negotiations with mill property owner AIM Development, a subsidiary of a Canadian scrap metal firm that bought the site for $58 million in 2015. Negotiations have been happening, off and on, since 2016. MMA had also examined a site in Penobscot. Nathan Gandy, the school’s dean of maritime training and commandant of midshipmen, sounded confident that a deal could be struck. The academy needs more space, he said. AIM officials did not return telephone messages Monday and Tuesday. The training facility would have four to five full-time employees to start, with several part-time instructors, Gandy said. Bucksport Town Manager Susan Lessard said bars and restaurants in the coastal Hancock County town of about 4,900 would welcome the training facility. Professional mariners would typically take classes that last a few days to a week. The new facility would allow Maine Maritime to significantly expand and improve its current offerings to professional mariners, according to Jennifer DeJoy, the academy’s spokeswoman. 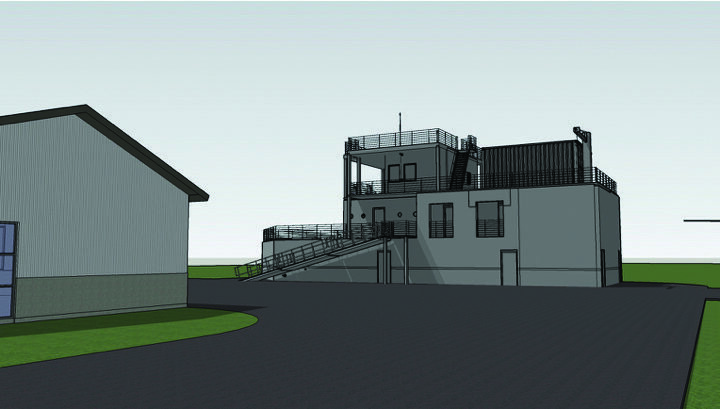 Phase I of Maine Maritime’s plan would include the purchase of the Verso training building and construction of fire training facilities built to resemble cargo vessels. Local firefighters would also use these facilities for their training. In its first year, about 400 of Maine Maritime’s approximately 970 students would use the new center for off-campus training, plus some classroom work, including about 250 freshmen doing firefighter training, Gandy said. Another 500 maritime professionals could also come to the center for the short recertification classes and training, for a total of 900 students in the first year. If all goes well, the number of professional sailors taking training at the center is expected to rise to about 2,000 in five years or so. The center could be useful to more than 20,000 mariners from all of New England and as far away as Ohio, Gandy said. As part of the project’s second phase, Maine Maritime would add a storm tank to simulate storm conditions, including large waves. That addition would expand center training to serve workers on oil and wind-to-energy platforms at sea. Gandy cautioned that the school was taking a step-by-step approach to its buildout of the training center.